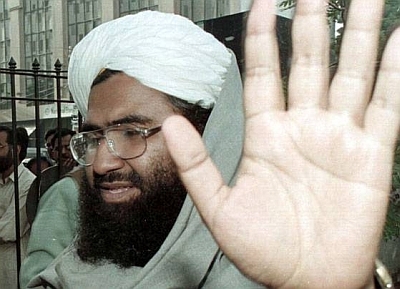 China on Friday expressed deep "shock" over the Pulwama terror attack carried out by a Jaish suicide bomber but did not give an assurance to India that it will back New Delhi's appeal to list the United Nations-proscribed Pakistan-based terror group's chief Masood Azhar as a global terrorist. At least 40 Central Reserve Police Force personnel were killed and many injured on Thursday in one of the deadliest terror attacks in Jammu and Kashmir when a Jaish-e-Mohammad suicide bomber rammed a vehicle carrying over 100 kg of explosives into their bus in Pulwama district. "China has noted the reports of suicide terrorist attack. We are deeply shocked by this attack. We express deep condolences and sympathy to the injured and bereaved families," spokesman of the Chinese Foreign Ministry Geng Shuang told a media briefing in Beijing. When asked about China's stand on the listing of Azhar as a global terrorist by the United Nations Security Council, he said: "As for the issue of listing, I could tell you that the 1267 Committee of Security Council has a clear stipulation on the listing and procedure of the terrorist organisations". Replying to a question on India not permitting UN Military Observer Group in India and Pakistan, Geng said: "Both India and Pakistan are important countries in this region. We hope the two countries can properly resolve (differences) through consultations. We also hope the regional countries can cooperate to uphold stability and peace in this region to curb terrorism".